The full prices and positions for Geelong and aflratings.com.au’s top five potential targets for 2017. Geelong were quite solid averaging 1650.2 team fantasy points in the 2016 H&A season (Rank 5), the Cats won their final 7 H&A games averaging 1705.0pts. Interestingly Geelong averaged 1451.0pts in their two Finals, the low team output wasn’t an issue for Patrick Dangerfield & Joel Selwood as their numbers spiked in both finals. 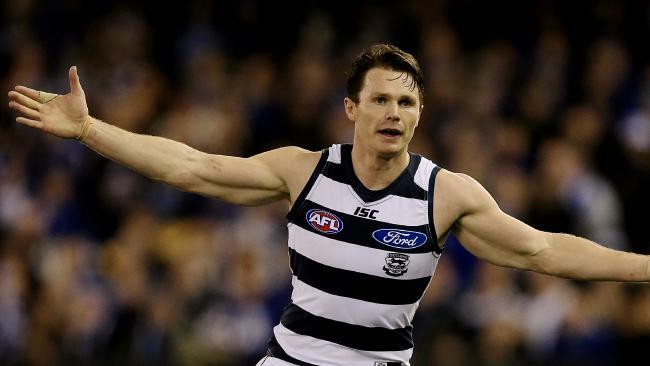 Geelong relied heavily on the Dangerfield & J.Selwood combo in 2016, considering the Cats depth at midfield heading in to the 2017 season their output is likely to remain the same which should be good news for fantasy coaches. 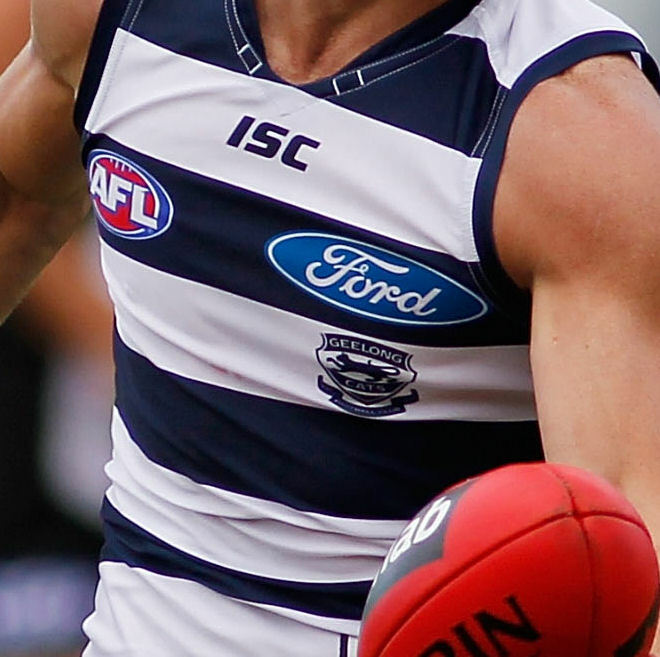 There will be a few tempting mid-priced Geelong players to consider during the pre-season, Jimmy Bartel, Josh Caddy & Corey Enright etc have all departed the Cats which will definitely provide a few opportunities. It goes without saying Dangerfield should be a target for fantasy coaches after averaging 118.0pts in the 2016 H&A season (AFL Rank 1), paying up big for premium players at the beginning of a season is slightly questionable but with Danger there should be little to no risk being rewarded with another solid average. Apart from the 137pt opener against the Hawks in Round 1 last season Dangerfield averaged just 89.3pts from his next 3 games, from Round 5 things started heating up as he averaged 121.7pts for the remaining 18 H&A games (Rounds 12-23: 124.3 Ave). Dangerfield scored 100pts or more at an outstanding 83.3% S/R (Strike Rate) and 120pts or more at a 41.7% S/R, for those fading him early good luck digging deep in to the bank if he starts this season just as he finished 2016. This is all about opportunity for Zach Tuohy after being traded to Geelong in the off-season, with the departure of Corey Enright from the Cats an opportunity exists across half back which could be a good fit for the former Carlton defender. Tuohy averaged a career season high 73.2pts in 2016, what was clearly noteworthy was his move to a freelance half back position for the Blues in Rounds 19-20 in which he averaged 104.5pts. Not many would be considering Tuohy at an awkward price to begin the 2017 season, but assuming a role loose across half back could be fantasy worthy. Fantasy coaches had to wait until Round 18 last season to finally add Sam Menegola but the wait was well worth it as he exploded for 100pts in his first career game, he averaged 95.0pts in his 6 H&A games before stumbling a little in the Finals averaging just 72.5pts. Menegola’s worst H&A games was 80pts against Richmond in Round 21, he has played in only 1 loss for just 63pts against the Swans in a Preliminary Final. Menegola is a must watch throughout pre-season games, if his numbers remain solid then he could be a decent point of difference early on in the 2017 season. After failing to average over 100pts in 2015 Joel Selwood hit back averaging 105.1pts in 2016 including Finals, he has now averaged 100.0pts or more in 7 of his last 8 seasons. Selwood scored 100pts or more at a 62.5% S/R which culminated with a season high 166pts in a Preliminary Final loss to Sydney, he averaged 107.5pts between Rounds 12-23. 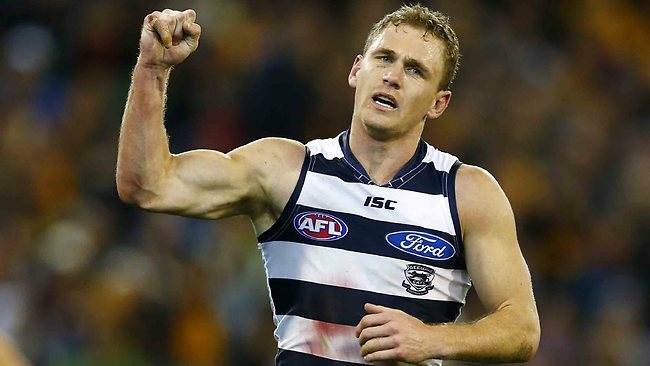 Despite Selwood’s physical game style he has been very durable, he has played in 96.9% of games dating back to Round 17 2011. Selwood is definitely worth considering at Round 1 or as an upgrade target throughout the season if he suffers a price drop. Duncan has been a tease for the majority of his career showing signs of his scoring prowess then backing it up with moderate games which has been frustrating for fantasy coaches, he averaged 93.0pts in 2016 including Finals scoring 100pts or more at a 50.0% S/R. There should be an upside to Duncan in 2017 with the departures of Bartel, Enright & Caddy, if nothing else there should be at least more consistency to his game with the added responsibility. Is it true Mark blicavs has retired,effective immediately?